The breed became popular for its work ability and was brought to Alaska and Northern Canada where they became crucial for hunting, transportation, and all around survival in the North. The Royal Canadian Mounted Police started using sled dog teams for transport and patrol in 1873, and the gold rush in Alaska and the Yukon brought a wave of people to the wild north who all quickly realized the necessity of a good sled team. Sled races started around the mid 1800’s and were made even more famous in the 1925 “Serum Run” to Nome, Alaska. Side Note about the Serum Run: An outbreak of Diphtheria in Nome started in December 1924. The only doctor in town sent an emergency telegram reporting the outbreak and the desperate need for antitoxin. At the time, planes were not reliable enough to make the trip in the Alaskan winter and it was decided that sled dog was the fastest, most reliable (and really, ONLY) way to get the antitoxin to Nome. A relay of Mushers and sled-dog teams would deliver the serum. The lead dog in the home stretch to Nome, Balto, became famous for making the life-saving run and there is a statue in New York City dedicated to him and all the dogs who participated in the relay. 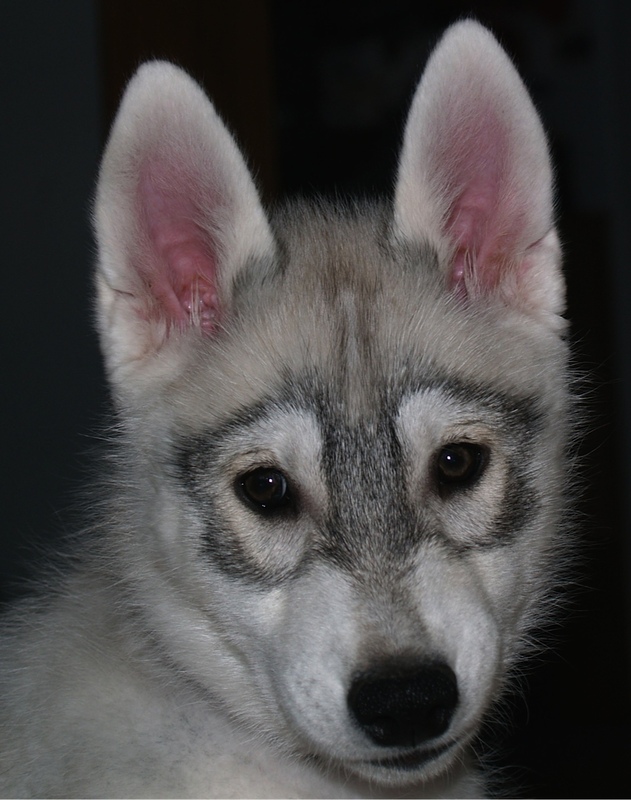 Huskies are adorable fluff-balls as puppies – just look at that adorable face of Aurora’s! 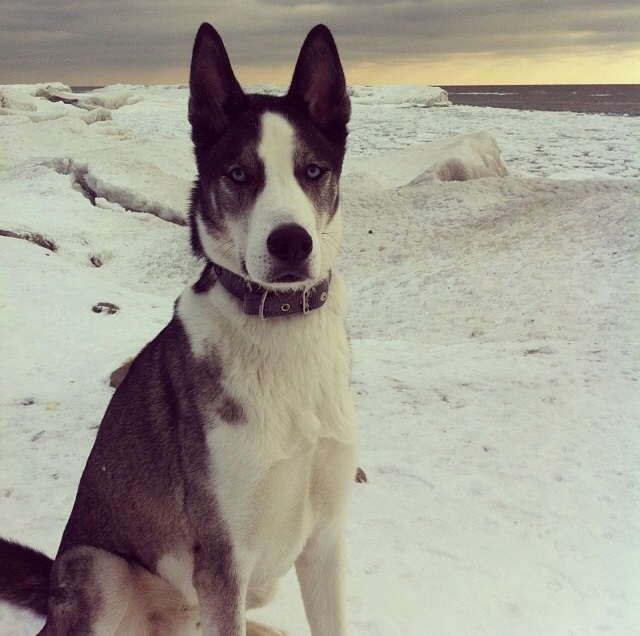 Huskies are friendly with an eager to please personality. They have quite a large weight range (35-60lbs) and can come in a variety of colours, but almost all have the characteristic base white colour around their muzzle and down their neck and belly. They are very smart and need lots of mental and physical stimulation. They were bred for stamina, and so need lots of exercise every day. Their heavy coats also require consistent brushing to keep from matting, and to help keep them cool in the warmer summer weather. Many actually prefer to spend most of their time outdoors, especially in the winter when they won’t overheat (in the summer, you’ll find many huskies hogging the a/c vent). They have quite a strong prey/hunting drive and so new additions should be monitored closely around smaller animals (pocket pets, cats, etc) and children. 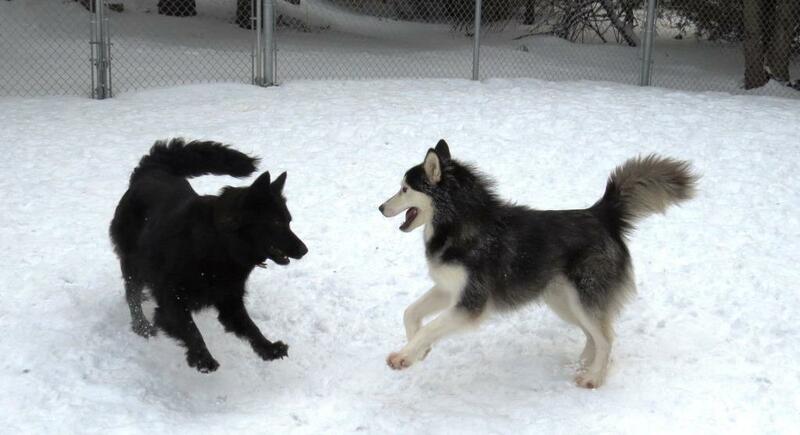 Sasha and Galaxy loved playing through the snow drifts in Daycare all winter. In general huskies live 10-14 years. Common health concerns include: eye problems, seizure disorders, and gastro-intestinal problems. Huskies had to be healthy, and robust to survive as working dogs, which probably helped weed out many orthopaedic or other health concerns. Even though they are a larger breed, hip dysplasia is uncommon in active, well-muscled dogs. They are commonly crossed with various other breeds which could pre-dispose them to various health concerns common to those other breeds. Trivia (answer): True. All kittens are actually born with their eyes and ears closed. Once they open them (between day 7-10) they appear blue. Most of the time the colour will change as they grow and develop. True or False: There are some dog breeds, naturally born with a short (or docked) tail.